On October 1 last year, Mehtab Alam Ansari, 30, who worked as a tailor in Delhi, had arrived in his village, Chepa Khurd in Barkagaon tehsil of Harazibagh district, to celebrate Eid with his family. That morning, he was nearing Dadi Kalan, a neighbouring village, to meet an acquaintance when he heard gunshots near the chowk. Mehtab Alam turned around to run, but was hit by a bullet and died on the spot. Besides Mehtab Alam, three others were killed in the firing from other villages. These villages are among the 25 villages in the region that have been resisting the acquisition of land for coal-mining. “Post demonetisation, banks are getting new demand for opening of accounts. I believe that encouraging digital banking requires not only incentivising people for going digital but there should also be a disincentive for making cash transaction,” says Usha Ananthasubramanian, managing director and chief executive officer of Punjab National Bank. At the age of 24, Ranvir came across as a well-behaved person to his neighbours and friends. For his family, he was a born achiever who would discharge all his responsibilities with finesse. “He was a promising boy, a perfect gentleman who would never crib and finish his task with promptness,” recounts Ravinder, a former army man, while narrating his seven-year struggle to get justice for his son, who was murdered by 17 policemen in what is euphemistically called fake encounter – custodial killing, in other words – in the capital of Uttarakhand. The government is getting ambitious. 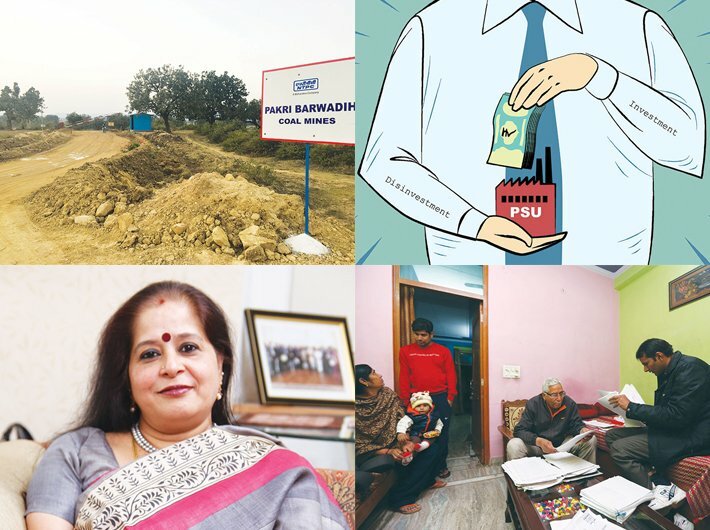 It wants to divest some PSU shareholding and raise a staggering Rs 72,500 crore during the 2017-18 fiscal. The mood is upbeat among finance ministry mandarins due to the heartening performance of the exchange traded fund (ETF), a basket of 10 bluechip central public service enterprises (CPSEs). The disinvestment target appears to be a daunting task because of adverse market conditions and low valuations of PSU stocks. I dreaded a bit as I stepped inside the Thrissur district general hospital in Kerala. I have walked in and out of government hospitals almost half of my life as a health and science writer for various newspapers. But I was never the patient. Going to a government hospital carried with it some stigma, even in Kerala, where only a few decades ago, the public healthcare system was considered very good. My decision raised eyebrows and elicited sympathetic glances.